MiShel Designs: 2 Feet of Wire! 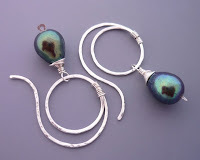 The theme for Week 12 of Year of Jewelry Projects 2011 was "2 Feet of Wire" and what a challenge it was, too. I never really thought about it until I forced myself to stay within the '2 feet' limit and I found that the things I usually create take much less or much more wire. I did pretty good and only cut minimal pieces off when I was ready to secure my wire wrappings - so I possibly have a smidge under 2 Feet. 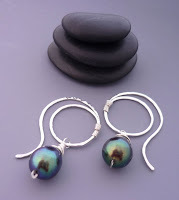 Swirl Earring Wires - 4 inches of 20g. sterling silver round dead soft wire = 8 inches - Forged, hammered/textured. So, there you have it - 2 Feet of Wire! And pearls, of course! 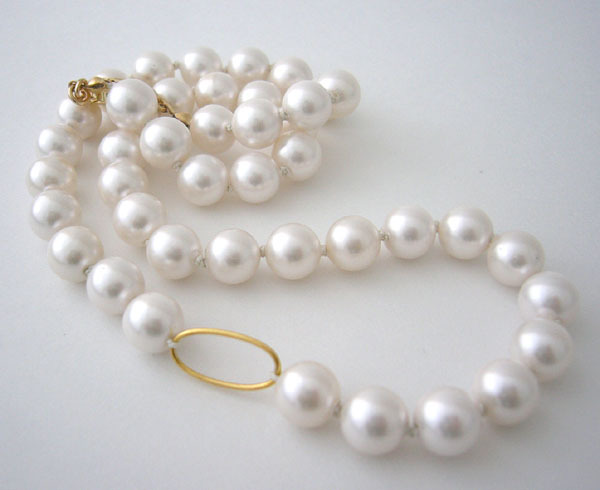 Known as the 'stone of sincerity,' pearls symbolize purity and represent faith, charity and innocence. 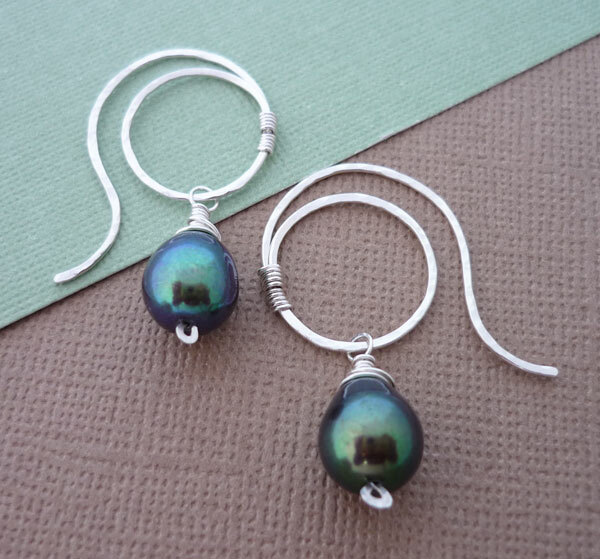 As the most widely used gemstone in weddings, pearls are believed to bestow the power of love, (and money, too). 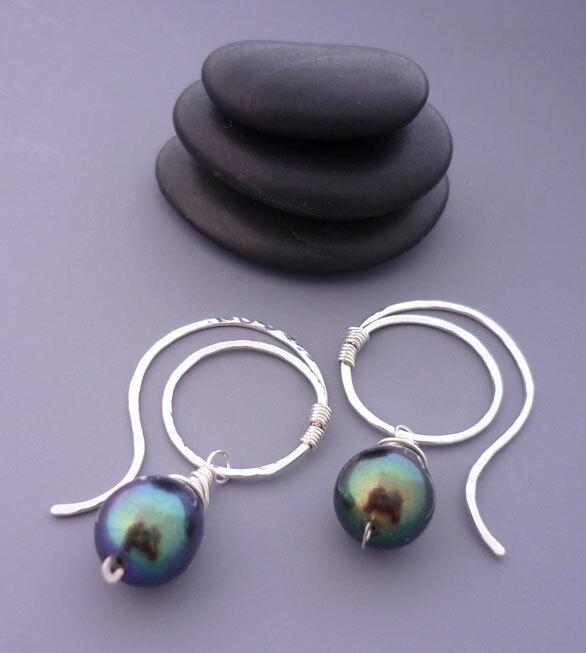 They are thought to bring luck and to offer protection for the wearer, especially to children. Royalty often valued pearls above all other gemtsones and you know this "Pearl Girl" loves her pearls!! With Easter, Mother's day, Prom and Graduation, not to mention all the Spring and Summer Weddings that are popping up amongst your friends and family, you can bet you'll be seeing these gorgeous and versatile gemstones every where! 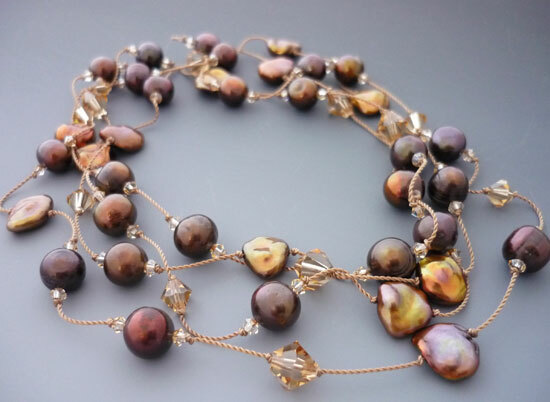 To find out more about these fantastic gemstones, jump on over to our website and check out our pearls page!